Green Gold Animation Pvt. Ltd has released the Chota Bheem and the Curse of Damyaan App for Windows Phone which is now available for download from Windows Phone Marketplace. Chhota Bheem is one of India’s most loved animated characters. With a viewership of over 35 Million people, Chhota Bheem is India’s top animated TV Series. The first theatrical movie release “Chhota Bheem and the Curse of Damyaan” is slated to be released this summer. 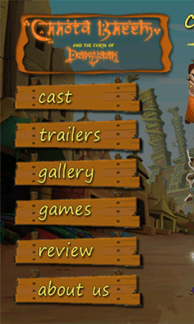 Chota Bheem for Windows Phone App is published by Green Gold Animation Pvt. Ltd, one of the top Animation content producer of hugely popular & path breaking original 2D animated content in India.